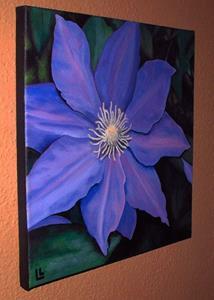 Created specifically for EBSQ's Flower of the Month exhibit, October 2013 - Clematis. Some favorite colors that I typically add to my palette are ultramarine blue and permanent magenta. 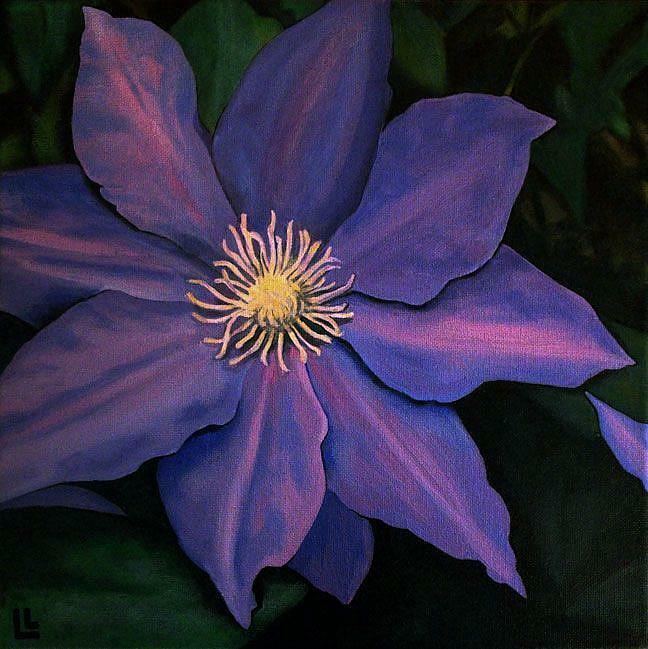 Luckily, there are several varieties of clematis that are similar in color, so that is what I chose to paint! Click on the detail image below to get a closer view from another angle. Edges painted, ready to hang.